A Federal High Court sitting in Abuja, the nation?s capital, has on Monday, granted bail to four pro-Biafra agitators- Bright Chimezie, Chidiebere Onwudiwe, Benjamin Madubugwu and David Nwawuisi. 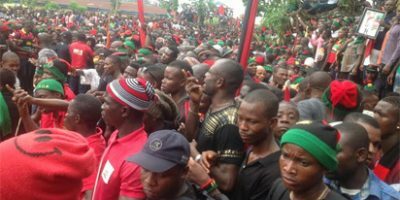 The Biafra agitators were hitherto facing treasonable felony charge alongside the ?missing? leader of the proscribed Indigenous People of Biafra, IPOB, Mr. Nnamdi Kanu.